A To Z Tire & Battery Inc is a family owned organization that offer different types of products used for vehicle maintenance and repairing. Martin and George Nussbaum established this organization in the year 1926 and then it was known as Amarillo Bus Company. At present, 4th generation of this organization is continuing. Record says that the company has 18 stores, 3 franchise stores, and 2 retread plants. More than 200 employees now work in this organization. Company services are available in different US states like Utah, Texas, and Arizona. 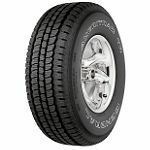 The organization supplies different materials like truck radials for medium trucks, tire supplies for agricultural and other trucks. There are currently 0 consumer reviews about A To Z Tire & Battery Inc available. Share your review. Please take a note that you are about to post a public review about A To Z Tire & Battery Inc corporate office on CorporateOffice.com. This review will be public, so please do not post any of your personal information on this website. If you would like to contact the corporate offices of A To Z Tire & Battery Inc, please use their contact information such as their phone number, website, and address listed above to contact them. However, sometimes staff from A To Z Tire & Battery Inc headquarters do read the reviews on this website.